Go early: Especially if you are not staying in Napa, Bay area traffic should be expected and planned for. Give yourself an extra cushion to really enjoy a couple of different wineries factoring in not just the drive time to Napa but the drive time to the wineries. Of course you get more bang for your time if you are strategic about the selection in making sure they are not too far apart. With some wineries closing as early as 5 a late start could really limit not just what you taste but also how many wineries you can stop in at. Pad in some time just to enjoy the beauty: It is really one of the most beautiful places I have seen, especially if you love nature. 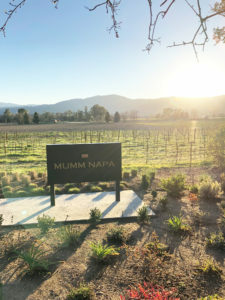 From mountainous views to flower fields to incredible trees in the middle of the highway the opportunities to enjoy nature or take a great photo opt abound in Napa Valley. While the wine is great the scenery is one of the most important things that Napa can offer if you give it just a bit of your time. Start with a powerhouse. Honestly you can’t truly predict how the day will go or how much you will drink. So why try??? Start with the most important winery on your list. Hopefully one that has marks as high for their food than they do for the wine because the true beauty of wine is the pairing of it with great food for me. If you start with a winery that has a great reputation for food and wine, outstanding ambiance and a great wine selection you won’t be left beating yourself up if you run out of time. I started with V. Sattui Winery which gave a great family vibe with their picnic tables and BBQ offerings. I was having such a good time that time quickly got away from me and we had to scurry on to our next destinations. Check out the winery memberships. Now I know it may seem like a money trap as you can easily imagine wine piling up to no ends with each monthly shipment. But the savings factor is a big one for members. For most wineries the memberships comes with free tastings for you and 3 guests (which can easily be an $80 savings) as well as additional discounts on bottles and special invitations to events. Once more with a flexible cancellation policy you may just be on the hook for one month if it does not end up working out. Ask a local. Some of the true gems of the area won’t be found as top picks on Google or whatever review you are trusting. People who live there and more important work in the wine industry will have their own opinion of go tos that may take you off the beaten path but right to some of the real gems of the area. 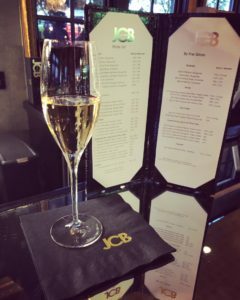 After a failed attempt to squeeze in Mumm winery we followed a suggestion to try JCB winery. 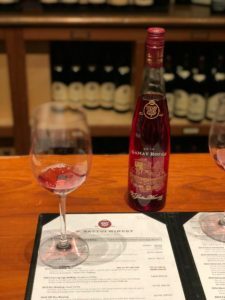 Not only was it open later than most other wineries, the ambiance was exquisite and the champs was pretty nice too..
Napa is such a beautiful destination so even if your time seems too short, it can great motivation in planning your NEXT wine country stop in.